Why support local independent businesses? 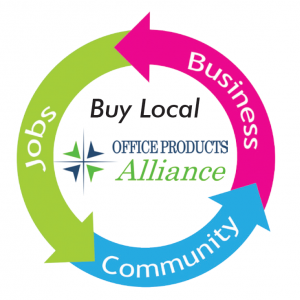 Dollars spent with locally owned companies are reinvested back into the community several times over! As a local independent business, we often battle misconceptions when compared to national chain stores. We would like to set the record straight. We have competitive prices, a larger product selection, and more expertise regarding the products we carry. But there is more than that. The local economy benefits when local businesses support each other. Numerous studies have shown that dollars spent with locally owned companies are reinvested back into the community several times over, whereas money spent with national chains tends to be invested elsewhere. Local businesses pay more taxes and rarely receive tax breaks or subsidies. Local businesses make up the distinctive personality of the community. Local businesses sustain a healthy and vibrant local community. Local businesses support local charities. Every dollar spent at a local business will turnover five to seven more time in our local economy, based on the national average. For every $100 you spend at a local business, $68 of it stays in the local community, in comparison to $43 when buying from a chain store. Let’s Keep it local, because together we can make Kansas City better for all of us.